Drummer/composer Phil Parisot heads this swinging quartet from the Pacific Northwest jazz scene. He’s supported by Steve Treseler (tenor sax), Dan Kramlich (piano) and Michael Glynn (bass). They’ve known each other for almost 20 years, and the result is a tight, cohesive combo. 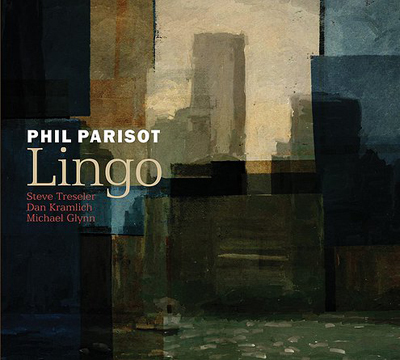 Parisot is unusual in a way; not many percussionists are accomplished composers, and very few play with such taste. His relatively light touch allows listeners to fully appreciate his ability to use unique rhythmic lines, which are particularly important as “fills” in a small group. He can’t resist the opportunity to offer solo passages, but his shading is an addition, not a distraction. Treseler is a gem. His tone is to die for, and his solo passages are outstanding. It’s a challenge to be the primary horn in a small group — it can become monotonous — but that isn’t a problem for Treseler. The same can be said for Kramlich. His background work is spot-on, and his solos are interesting and driving. The musical menu is a satisfying mix of genres and tempos. Parisot wrote seven of the 10 charts; two are short drum “choruses.” The others are from Duke Ellington (“Low Key Lightly”), Jerry Bergonzi (“Different Places Together”) and Keith Judelman (“One for Hugh”). The presentation includes up-tempo burners, ballads and even a jazz waltz. All of them satisfy. This is a neat quartet. Based on the liner notes, another release is in the works for the future. Can’t wait!